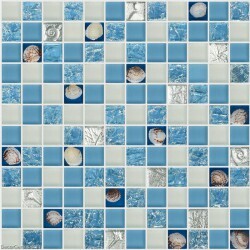 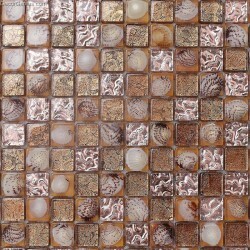 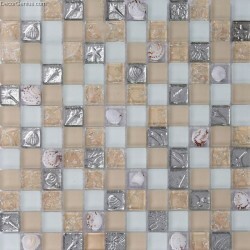 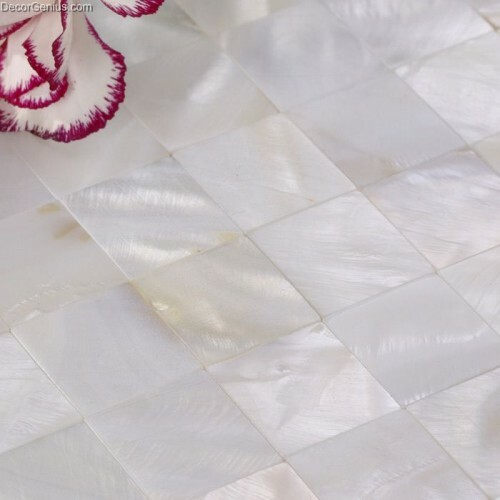 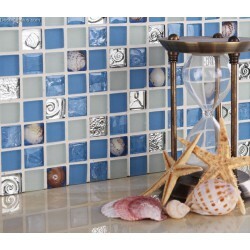 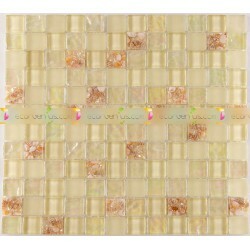 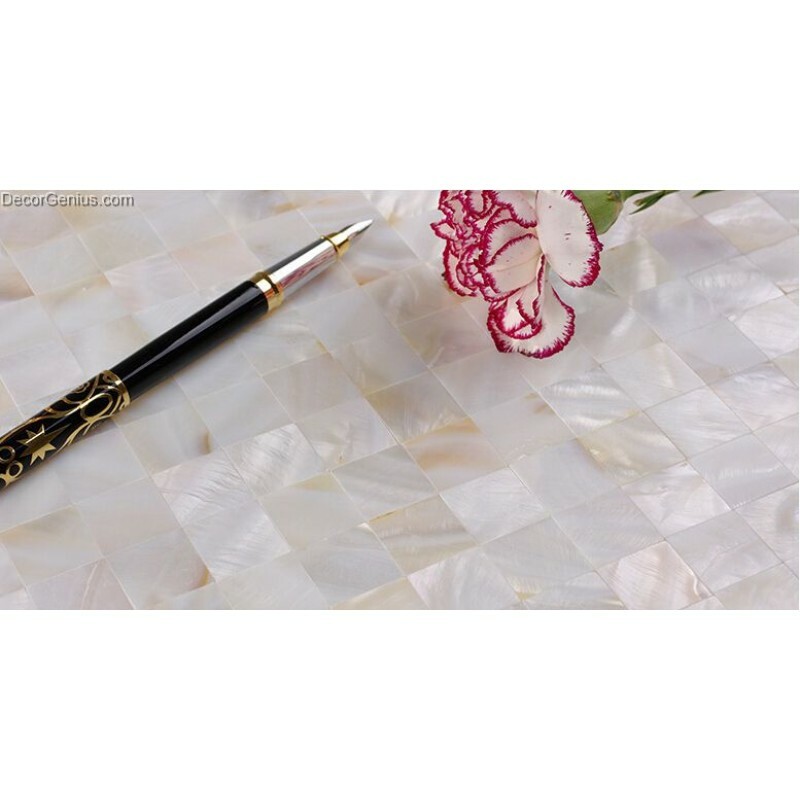 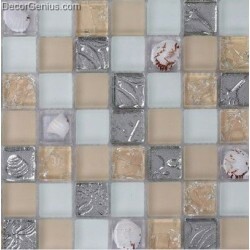 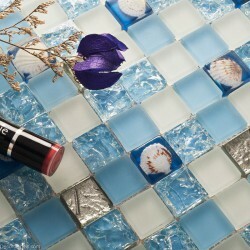 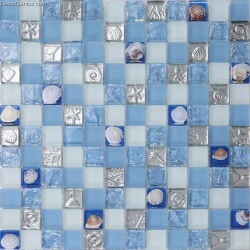 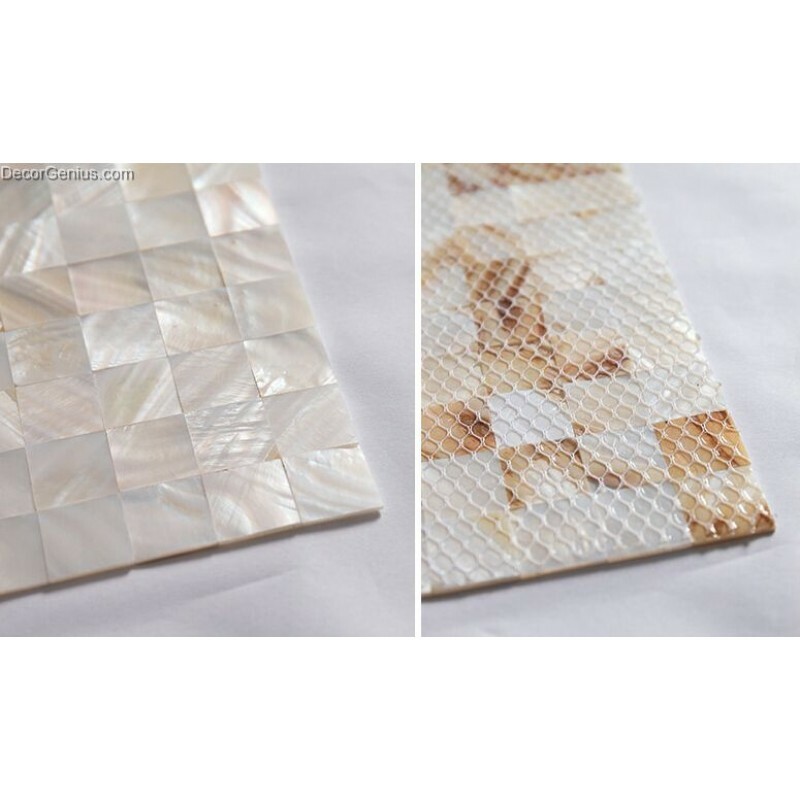 This hand made oyster white mother of pearl tile is presented in an artfully arranged classic pattern that will add an iridescent luminosity to your backsplash or bathroom for many years to come. 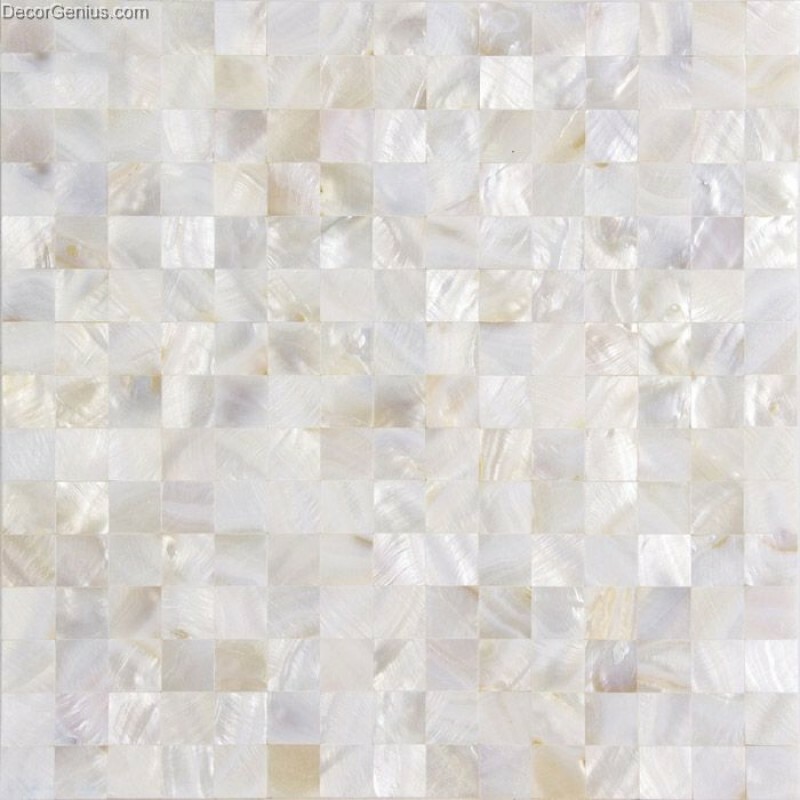 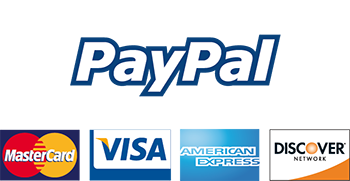 Although Mother of Pearl tiles are naturally thin, they are very strong and durable as well as easy to install in a variety of applications. 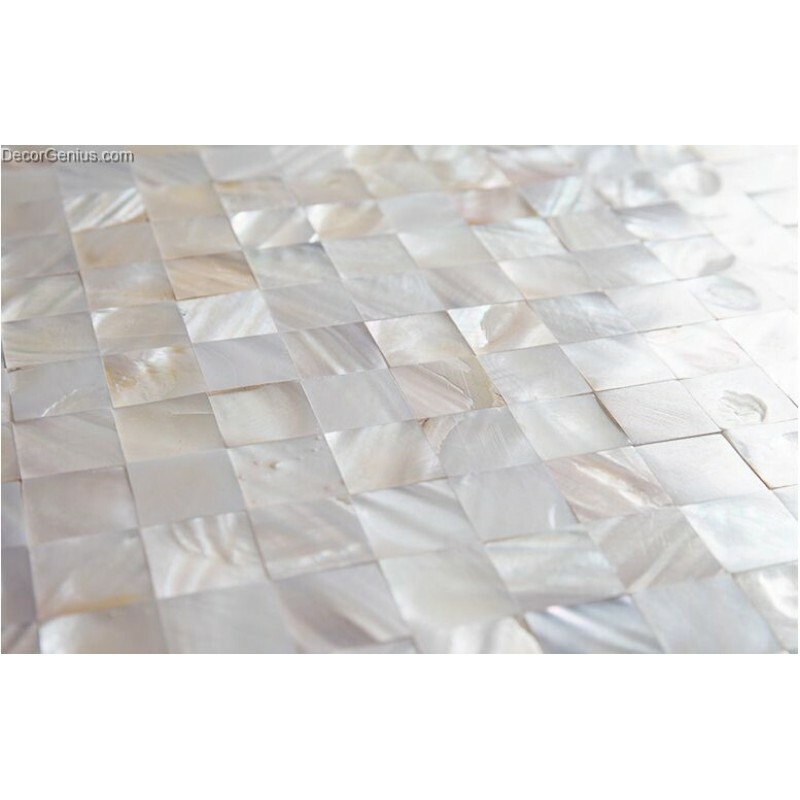 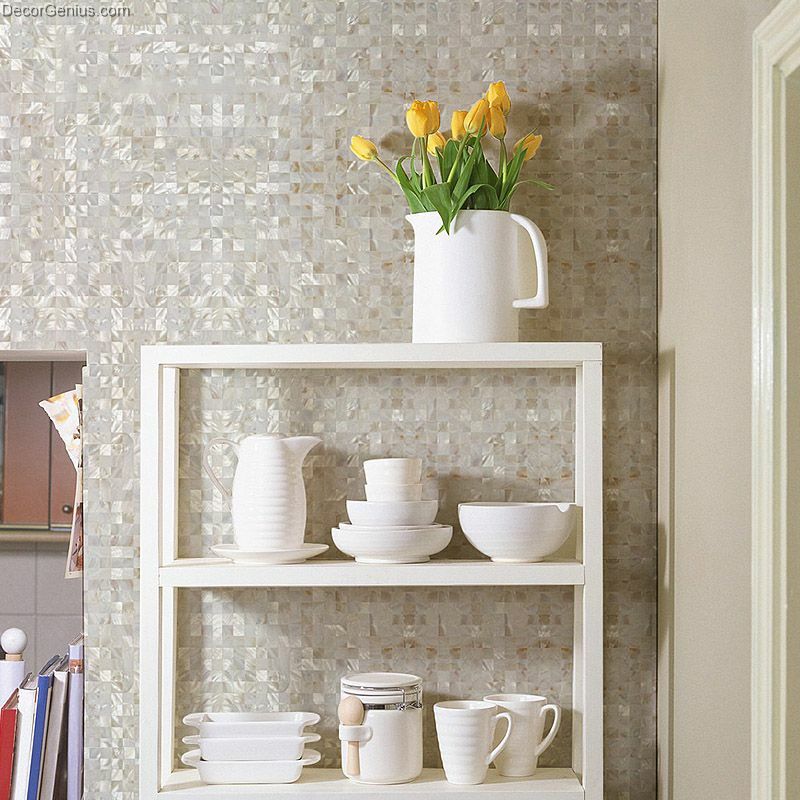 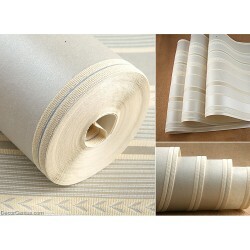 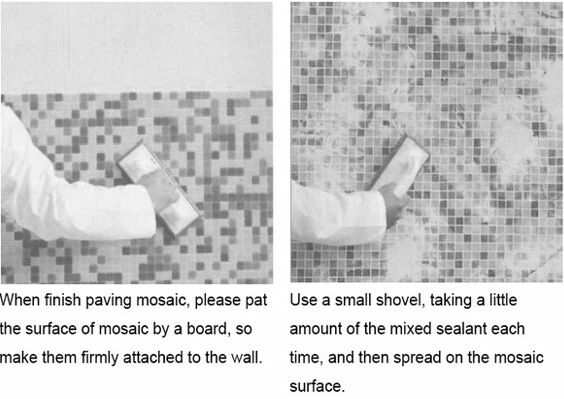 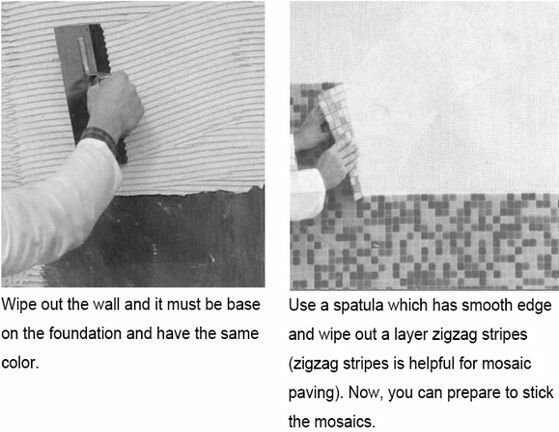 Each sheet of the mother of pearl mosaic tile is approximately 1 sq ft and is mesh mounted for easy installation of your mosaic tile projects. 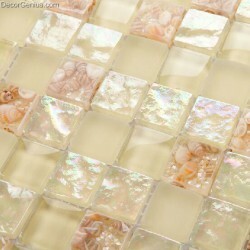 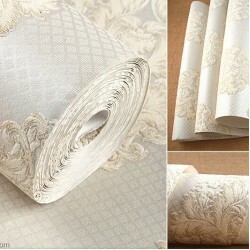 100% natural pearl, color will never fade away.